Do you know what igneous rocks are? All these different types of rocks we get can sound complicated. But read on, and here’s everything you need to know about igneous rocks. Perhaps you’ll be the next Geography super star! How is Igneous Rock Formed? These rocks are formed when magma cools and then goes solid. This might happen either above or below the surface. Magma can be forced into rocks, blown out in volcanic eruption or even forced to the surface as lava. Wow it can have a bit of a rough time. The atoms and molecules of melted minerals is what make up magma. These atoms and molecules decide to rearrange themselves into mineral grains as the magma cools down, and this forms rock as the grains then grow together. Pretty neat huh? What types of Igneous Rocks are there? Rocks are categorised by the way that they form. As we know already, igneous rocks from when magma cools and hardens, whether it is under the Earth or on the surface. The exact location of where the rock forms, determines what type of igneous rock it is. Get ready to find out about different igneous rocks. 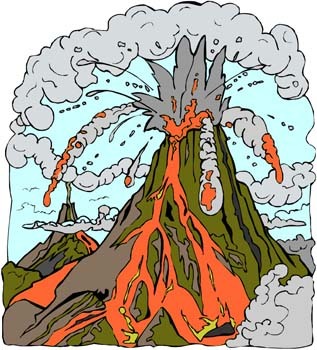 When magma rises up to the surface of the Earth and then hardens, we get something called extrusive igneous rock. This type of rock is almost a bit glassy in texture as they form very, very quickly. Types of extrusive igneous rocks are pumice and basalt. Pumice is used in heaps of things like toothpaste, cement, and cosmetic products. What a strange combination! Basalt however is used in buildings and statues. Sometimes extrusive rocks are called volcanic rocks as volcanoes are obviously very important in how they form. Extrusive rocks are formed when magma rises to the surface of the Earth and hardens, which forms extrusive igneous rocks. But with intrusive igneous rocks, they are formed when the magma cools and hardens below the Earth’s surface. These rocks take a long, long time to form because of the way that they are made. They feel very grainy when you touch them. Intrusive igneous rocks are granite and gabbro. Ever heard of gabbro? If not read on to find out. Granite is used for making gravestones, statues and countertops too. Do you have a granite countertop at home? It’s very durable, which means it can take a lot of pressure and wears very well. Gabbro is an interesting rock that you might like to dig around for! It’s often got lots of gold, chromium and silver in it. You could sell it make some pocket money! Then there are things called Plutons and these are like bodies of intrusive rock that mostly have granite in them. When intrusive rocks form huge bodies, like those found inside of mountains they are called batholiths. Ninety-five percent of the Earth's crust is made of igneous rock. Wow, that’s a lot. There are over 700 different kinds of igneous rocks that have been identified so far. Do you think there’s more? The ocean floor is normally made out of basalt rock, which is hard and black, and an extrusive rock of course. The batholiths that we spoke about can be as large as about 97km across. That’s huge! 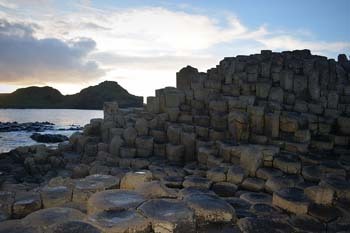 The Giant’s Causeway, in Ireland, was made from a lava flow that erupted over 55 million years ago. 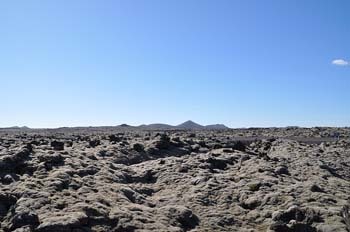 The lava cooled, and as it did this it split and formed about 40,000 basalt pillars, which look like humongous stepping stones that reach out into the ocean. So ace that next Geography test with all this cool information about igneous rocks! You can do it!